The boom in vinyl record sales has also seen a major return of turntables as an essential item for people who want to have a return to the authentic sound of music at its best. A 2016 report from the BBC explained vinyl sales saw a 60 percent rise over the previous year, but around 48 percent of those buying records did not own a turntable or play them; to avoid being one of the masses who are not listening to their vinyl collection choosing the perfect turntable should be a major part of the record collecting experience. Before purchasing a turntable it is important to know what you are buying, which is basically the mechanism for placing the needle of a record. Quality is important as a record groove is thinner than a human hair and requires a quality stylus or needle to get the best possible sound, which usually means a higher price paid gives a better-quality sound. 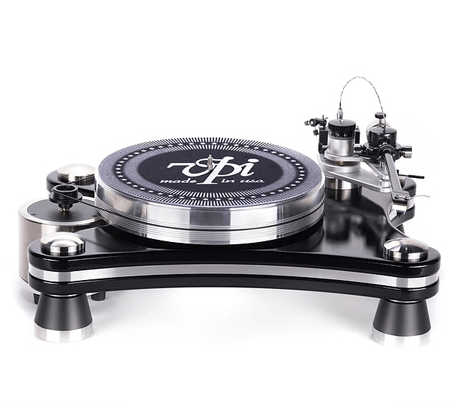 Prices for turntables can range from below $100 to more than $3,000 for a turntable such as the VPI Prime Signature Turntable that retails for close to $6,000, according to Sound Stage Direct. Once you have made your choice of budget for your turntable you should be looking at what kind of connections are offered to make sure all your needs are met in terms of getting the most from your vinyl collection. Consumer Reports explains USB ports allow vinyl to be digitized and stored on a computer or flash drive, jacks are also included to allow speakers to be connected or headphones depending on the choice of the listener. When setting out on a journey into turntables and vinyl collecting it is important to remember sound quality is all important, a budget range turntable may be a good starting point that can be upgraded to achieve a better sound. Manufacturers like Rega offer technological advances, such as the Double Brace technology that limits lost energy that degrades sound quality for the future. The Art of Manliness reports upgrades can be made to the tomearm, stylus, and various other aspects of the turntable to improve sound quality. Increasing numbers of artists are now releasing new music and their back catalogs on vinyl, such as The Charlatans who release much of their new material on vinyl. Songs like The Beastie Boys ‘Sabotage‘ are classed as vinyl classics, which means a turntable buyer must make some major decisions about their equipment. Including the classic manual or automatic debate. Unlike most technology, the higher end turntables tend to require the user to place the arm holding the cartridge and stylus on the record, but many listeners enjoy the ease of hitting a button and watching the arm move automatically for them. The specifications for turntables differ slightly from model to model in areas such as the playback speed, which usually includes 33-1/3 and 45 rpm but should also include 78 rpm speeds for the serious record collector, according to Crutchfield. Paying attention to the signal to noise ratio is also important as a higher signal level to noise provides a far better quality listening experience when music signal levels are above 65dB. Jessica Kane is a music connoisseur and an avid record collector. She currently writes for SoundStage Direct, her go-to place for all turntables and vinyl equipment. Building Codes Don’t Save Electricity … or Do They? Next story What Type of Flooring is Best for Your Kitchen?